1 of 14 guides for running re-use workshops. 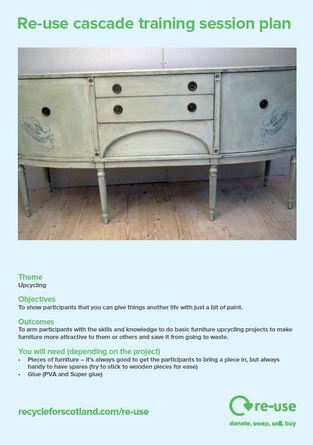 This one is around upcycling furniture as a way of making things last longer/re-use things. It doesn't give detailed instruction on running the workshop as groups should bring in an expert if they don't have the expertise in house, but it does give some guidelines.